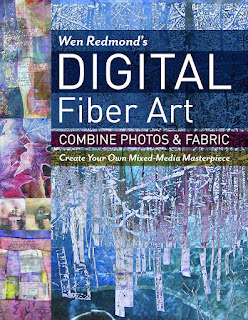 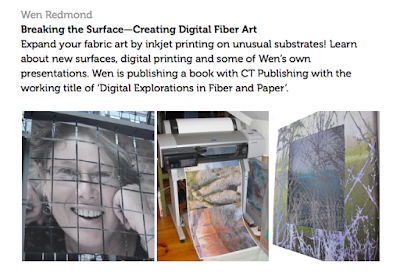 Wen Redmond: Book "Digital Fiber Art: Combine Photos & Fabric - Create Your Own Mixed-Media Masterpiece"
Compose, create, and print innovative art quilts starting from your own digital photographs! Well-known fiber artist Wen Redmond starts with the tools and equipment you'll need―any image editing software and a standard inkjet printer―and teaches you to alter images, print them on a variety of fibers, and accentuate them with stitching. 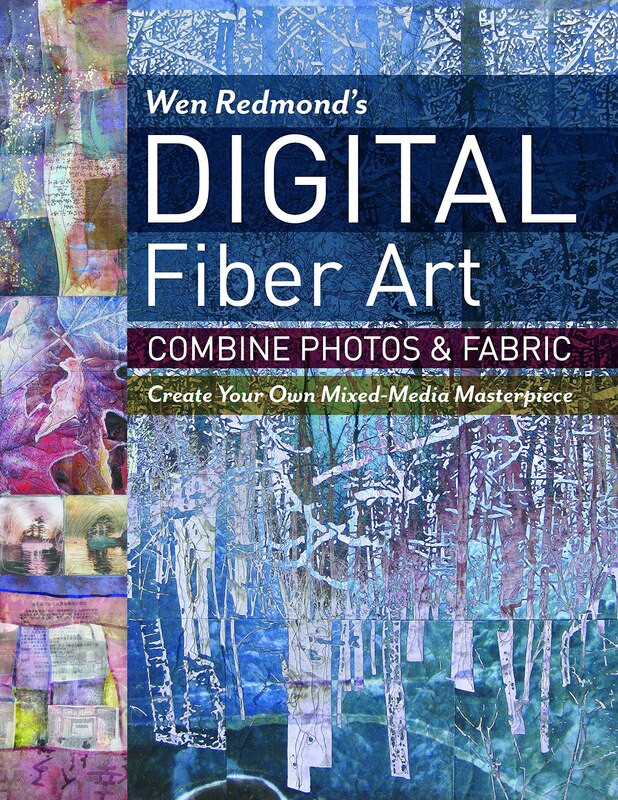 With a sense of adventure, even a beginner can apply these mixed-media techniques to create new and innovative works of art.